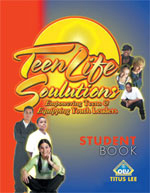 ORDER ADDITIONAL STUDENT BOOKS HERE! Interactive lessons that keep your youth engaged. Exciting role-plays, illustrations and fill-in-the-blank exercises. © 2005 - 2019 Operation Link-Up - All Rights Reserved.